Crossposting and cross-promoting your blog posts to your social media channels is one of the most effective ways to gain more outreach for your blog content and drive more traffic to your blog. 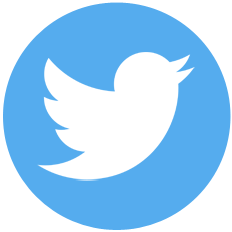 Cross-promoting your blog post to Twitter and Facebook is standard to most bloggers. 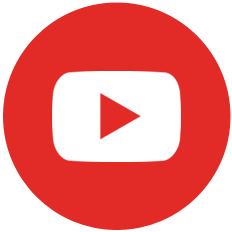 There are, however, lots of other specific networks and platforms you probably never thought of, that perfect for re-publishing old blog content. Today we will focus on Medium. Medium is a very powerful blogging network, where over 70 million visitors per month read, write and interact with stories that matter to them. Thus, Medium provides a perfect source to attract more valuable readers for your blog content. You feel you don’t have the time to manage yet another network on top of your standard social channels? However, this tutorial may change your mind. 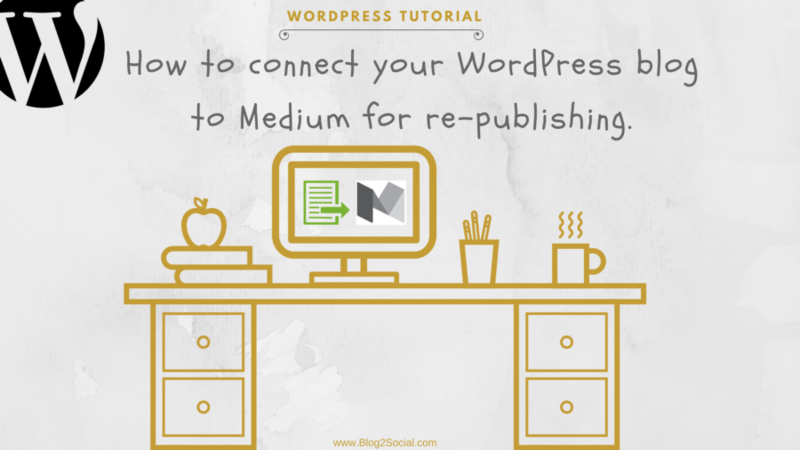 Think of crossposting and re-publishing your blog content on Medium automatically, without any additional work to do. We show you a way to automatically re-publish and cross-promote your blog content easily to Medium and other powerful networks. 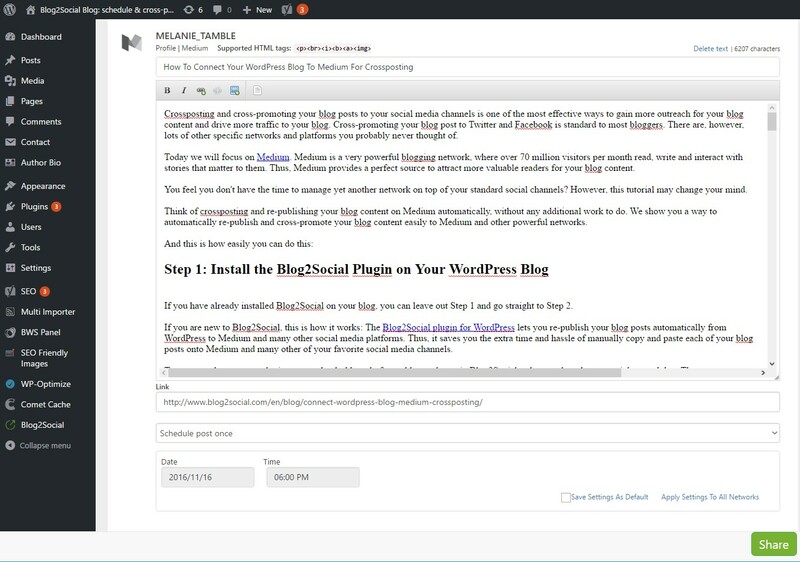 If you have already installed Blog2Social on your blog, you can leave out Step 1 and go straight to Step 2. 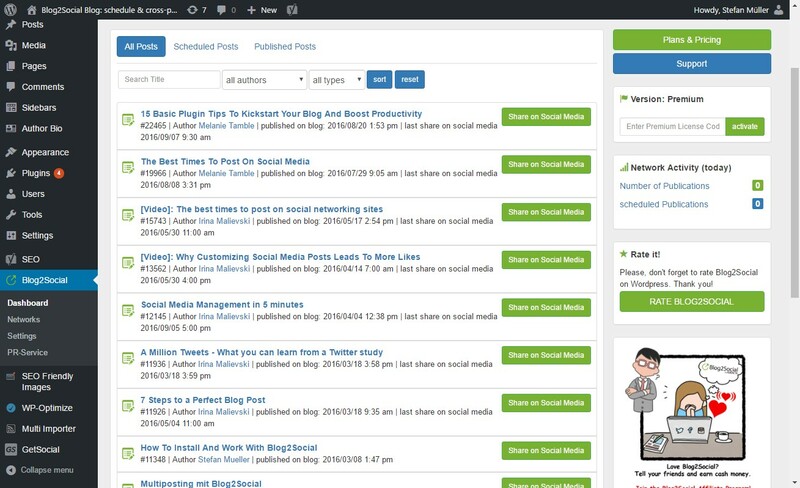 If you are new to Blog2Social, this is how it works: The Blog2Social plugin for WordPress lets you re-publish your blog posts automatically from WordPress to Medium and many other social media platforms. Thus, it saves you the extra time and hassle of manually copy and paste each of your blog posts onto Medium and many other of your favorite social media channels. 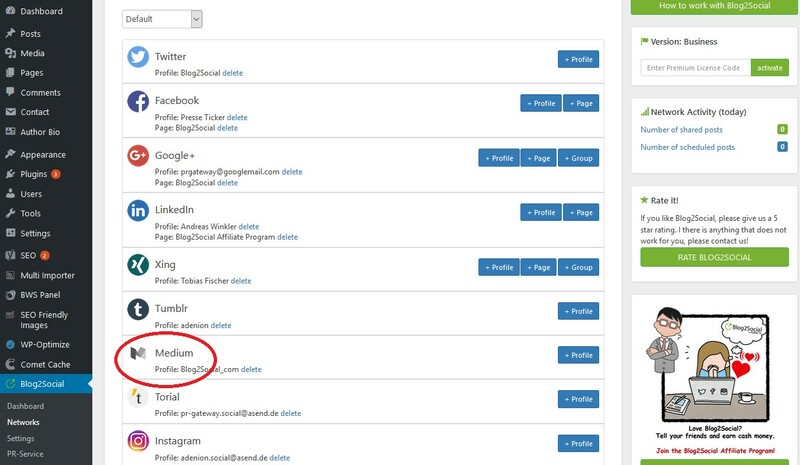 To get started go to your plugin area on the dashboard of your blog and type in Blog2Social as keyword on the upper right search bar. The Blog2Social plugin for WordPress will appear at the top of the search results. Click Install Now to install and then activate the plugin to get it going. It’s free. Once you have installed and activated the Blog2Social on WordPress, the Blog2Social Icon will show on the left side bar. Click on the icon to get to the networks dashboard and connect your Medium account. Once you type in your account settings, your Medium account will be connected with your WordPress blog. 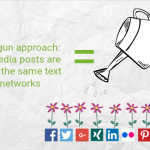 Once you have installed and connected your Medium account to the Blog2Social plugin, it takes just one click to crosspost, cross-promote and re-publish your blog content to any social network you connected the plugin to. 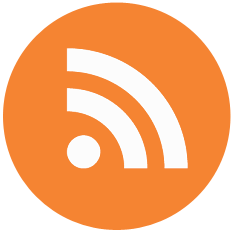 You can crosspost your new blog posts or re-publish your old blog posts. 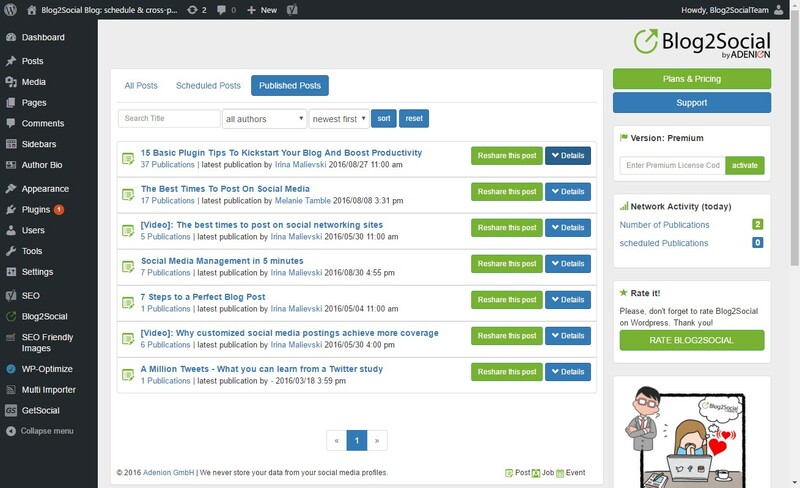 And you can even automatically plan and schedule your planned, not yet published posts. Once you have written and published a new blog post, just click the button “publish on social networks”. Please Note: Make sure your post is finally approved and ready for publishing before you click the button. 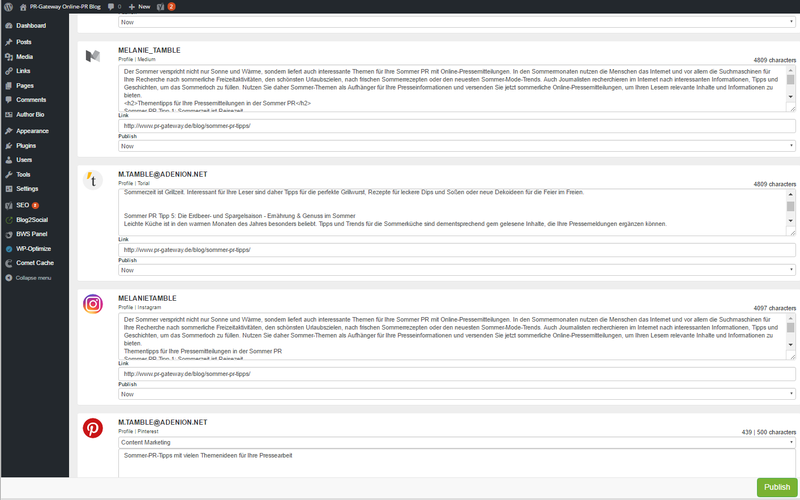 The cross-publishing process will be started on the next preview page. But, once your post is sent out, any further update you will make to your blog post, won’t be shown on Medium. Once you click on the button, you will get to the network preview dashboard. 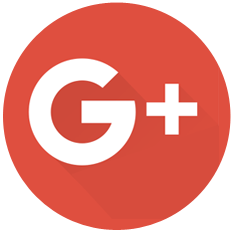 You can now optionally customize your post for the various social networks. 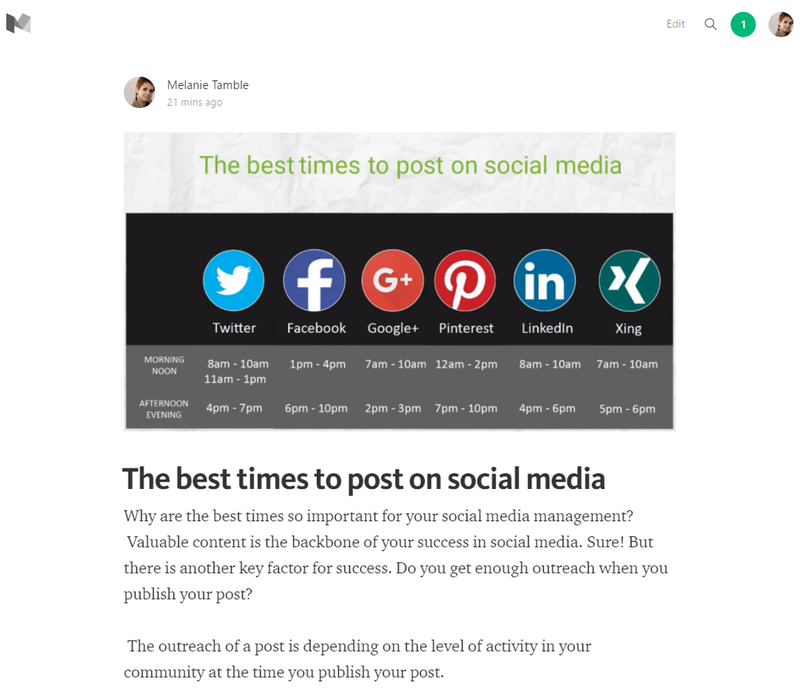 You may also schedule your post for the best time to post to Medium. 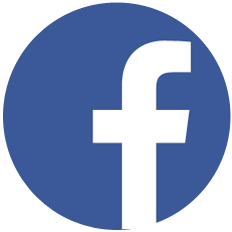 The timing of social media postings can vary for each individual network. 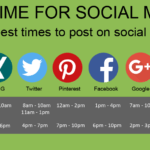 Choose your preferred time in order to gain the most outreach and attention of followers. If you do not know the best times for your networks, you may adopt the default Best Time Scheduler, provided by Blog2Social. This plan is based on research of various sources and experience of established social media experts. Or, you can set your own time settings. I would always recommend to schedule your re-published posts with a delay of 5-7 days to your original publishing date in order to let Google grab your original blog posts first before indexing it from other websites and networks. If you are ready to go, just click “publish” and your post will automatically be cross-posted to Medium. And you can also cross-promote your post to any other social network you chose in your cross-publishing plan. All the posts will be published automatically according to your scheduling plan. You can see your published and scheduled social media posts, when you click on “All posts” in the Blog2Social section on your left navigation side bar. You can also change your scheduled times here. 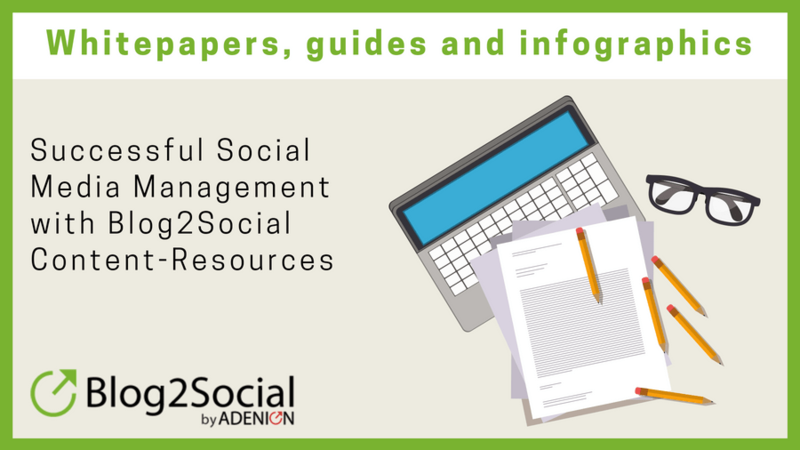 With Blog2Social you may also re-publish your older posts to Medium. You can either do this by opening an old blog post in edit mode and take the road described in the section above or you can click on “All posts” in the Blog2Social section of your left navigation side bar and click on “Re-share this post”. You will then choose the networks you wish to re-publish your post to. And again you may schedule your posts according to the best times for each network (see section above). If you want to pre-schedule your planned, but not yet published blog posts you can do this with the Blog2Social plugin, also. As soon as you have planned your blog post to be published at a specific time you may also schedule the posts for your social networks, as described in Step 3, 1. Social media are the most powerful sources to drive traffic to your blog. The more value your blog content provides, the more likely your followers will like your blog and your business. Medium is just one social network that may provide another powerful source to drive more readers to your blog content. However, also consider other networks provided in the plugin to put your WordPress posts in front of an engaged audience.